The Defense Department’s now-defunct business task force for rebuilding war-torn Afghanistan has again been found to have ineffectively spent its budget, devoting more than half of $675 million in contract obligations to indirect or support costs and favoring sole-source providers, a watchdog found. 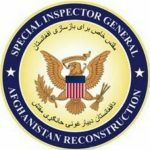 The Special Inspector General for Afghanistan Reconstruction on Tuesday released its latest critique of the Pentagon’s Task Force for Business and Stability Operations, which worked from 2010-2014 to hire companies to help the Afghans with economic development in such areas as mining, irrigation and banking. That body was disbanded in 2015, with many of its projects incomplete or turned over to the State Department and the U.S. Agency for International Development. 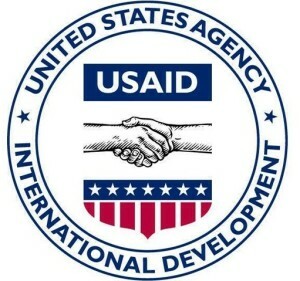 BethAnne Moskov, a deputy director for the U.S. Agency for International Development (USAID), has pled guilty to charges stemming from a contract-steering scheme. 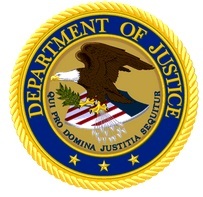 Moskov pled guilty in the U.S. District Court for the District of Columbia to charges of conspiracy to defraud the United States and making false statements to law enforcement. The plea agreement, which is subject to Court approval, requires the Court to impose a sentence within the range of no prison time to a year and a day in prison. Sentencing is scheduled for August 28, 2017. According to the plea documents, Moskov worked from July 2012 through August 2016 as the USAID Deputy Director for the Office of Health, Infectious Disease, and Nutrition. 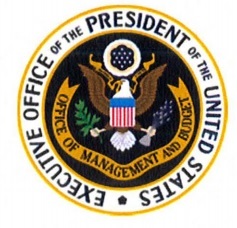 Her office was located at USAID headquarters in Washington, D.C. The charges involve her dealings with a person identified in the documents as “Co-Conspirator A,” a close personal friend who worked as a consultant for various projects for USAID, as well as the private sector. Moskov and “Co-Conspirator A” took trips together and was the man of honor at her wedding. In July 2014, “Co-Conspirator A” prepared a Selection Memo and other consultancy documents from the templates for Moskov. The Selection Memo listed “Co-Conspirator A” as the highest ranked candidate. Later that month, Moskov selected him as the “best consultant to fill the project order.” The Selection Memo included language taken verbatim from the version provided by “Co-Conspirator A.” “Co-Conspirator A” was paid a total of $22,480.85 for the consulting project, according to the plea documents. Additionally, during an investigation, law enforcement learned that Moskov had used her government e-mail account in 2012 to ask “Co-Conspirator A” for a loan to help her in financing a house. “Co-Conspirator A” agreed to loan her the funds. In an e-mail, Moskov thanked “Co-Conspirator A” for the loan and wrote, ““Send me your CV again and let me float it here with the 2 missions as well as some of my contacts around town … there is SOOO much work going on here! I got to get you in the system.” “Co-Conspirator A” wired her $7,100. In December 2015, Special Agents with the USAID Office of Inspector General interviewed Moskov at USAID headquarters. She falsely stated that she had repaid the entire $7,100 loan from “Co-Conspirator A.” In reality, she had paid nothing back. “To get ahead of infectious diseases like Zika, we need to move quickly to find and scale new tools and transformative solutions,” USAID Administrator Gayle Smith said in a statement. The grand challenge is an addendum to the to the USAID Development Innovation Accelerator Broad Agency Announcement for Global Health, and is an example of how the agency is increasingly turning to a contracting technique used elsewhere in the U.S. government to see if the model might work to involve new actors in addressing development challenges. As USAID looks to partner with a more diverse group of actors, the agency is contending with regulatory restrictions that can be cumbersome or limiting. The Broad Agency Announcement, or BAA, may be a way to address that challenge. The BAA is a new way for the agency to communicate with partners to design solutions before determining what procurement tool may be the best fit.